Ever since John Cena gradually stepped away from his status as a full-time WWE performer owing to his blossoming Hollywood career, Roman Reigns took over Cena's role as the face of the WWE. Since the 2014-15 time period, Reigns has been regarded by the vast majority of professional wrestling fans and experts alike as 'The Guy' in the WWE. 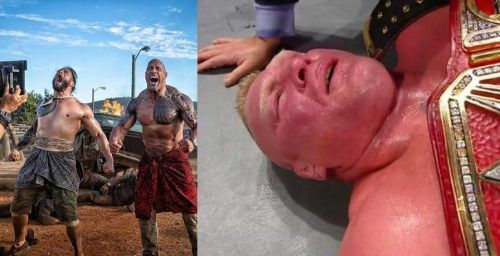 Reigns headlined 4 consecutive WrestleManias: WrestleMania 31 against Brock Lesnar (Seth Rollins later inserted himself into this match by cashing in his Money in the Bank contract), WrestleMania 32 against Triple H, WrestleMania 33 against The Undertaker, and WrestleMania 34 where he once again faced Brock Lesnar. Considering that, when Reigns stepped away from in-ring competition due to the return of his leukemia in October of last year, the probability of him headlining WrestleMania 35 which takes place this April, seemed bleak. 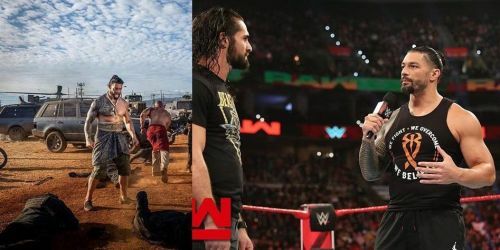 Nevertheless, by the grace of God, Reigns returned to active in-ring competition on the February 25th, 2019 episode of Monday Night RAW, announcing that his leukemia was back in remission. Now, with that being said, it's rather surprising to see that the WWE is still going forward with Brock Lesnar vs. Seth Rollins or Ronda Rousey vs. Charlotte Flair vs. Becky Lynch as the possible main-event of WrestleMania 35. Firstly, I ought to point out how brave and honorable a man Roman Reigns truly is. On the October 22nd, 2018 episode of RAW, he made the shocking revelation regarding him having previously battled leukemia. It was later revealed that Reigns kept his leukemia battle a secret from the WWE Universe, because he didn't want to get cheers only due to the fans having sympathy for him. Now that it's been a few months since the revelation, and most of his 'haters' have now started to support him due to learning about Reigns' bravery in his real-life battle with cancer, the WWE has to be cautious while moving forward with his on-screen character and storylines.